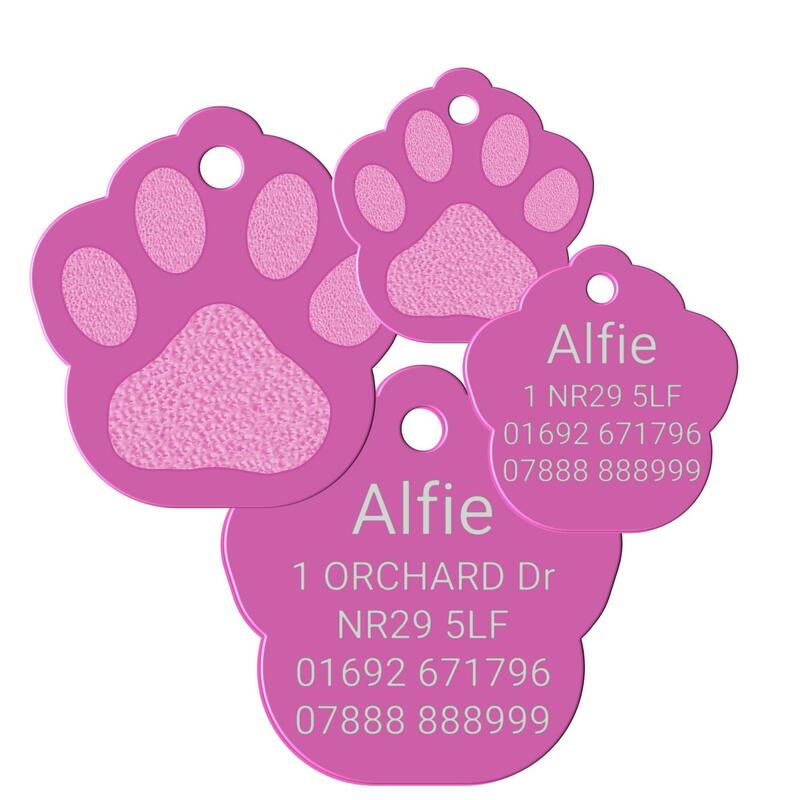 These Aluminium Pink Paw Print shape Pet id tags are from our Premium Range. Each tag has an impressive 7 - 8 microns of anodized colour applied to them including the edges. This makes these tags very hard wearing and durable. The tags are available in 2 Sizes. All our Tags are deep engraved with your contact details and come complete with a split ring for easy fixing to your pets collar. if you use more than our suggested amount of text the details will come out smaller.